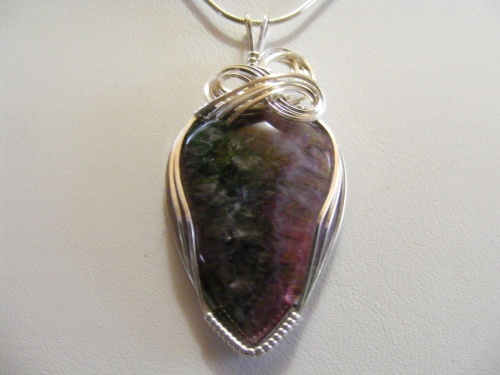 Beautiful barely describes this jasper gemstone with its mauvey purple color marbled in with the greens. Ornately sculpted with sterling silver bow like design, piece measures 2" from top of bail to bottom of stone and 3/4" at its widest part. Piece comes with a sterling silver snake chain.